LITTLE ROCK, Ark. 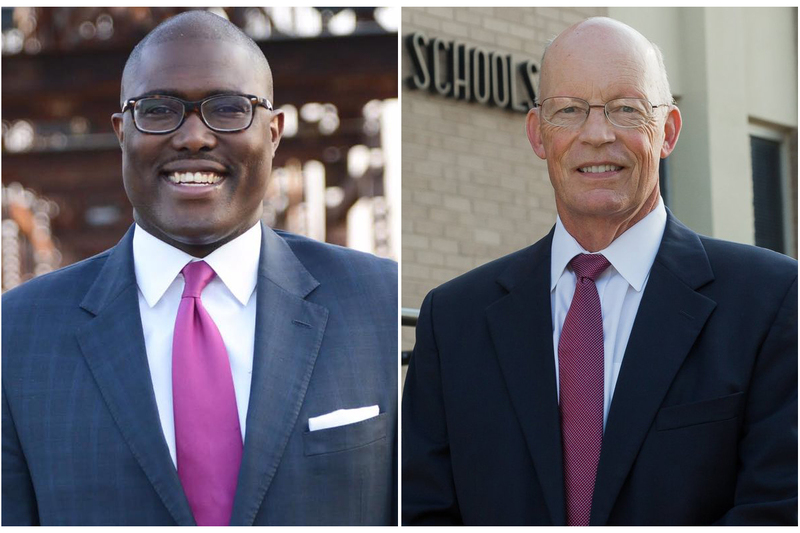 (AP) — Six decades after nine black students were escorted past an angry white mob into Little Rock Central High School, the city at the center of the desegregation crisis may be on the verge of electing its first African-American mayor. But Frank Scott, the 35-year-old banking executive who may break that barrier, says it’s not his motivation for running to lead his hometown. Race is hard to escape in the campaign for mayor in Arkansas’ capital, where divisions linger long after the school’s 1957 desegregation. The city’s police department has faced questions about its tactics, including the department’s use of no-knock warrants. The predominantly black Little Rock School District has been under state control for the past three years, and community leaders have compared the takeover to Gov. Orval Faubus’ efforts to block integration. He’s running against Baker Kurrus, a 64-year-old white attorney and businessman who was appointed as the school district’s superintendent after the state takeover. Kurrus’ contract as superintendent wasn’t renewed after he opposed the expansion of charter schools in the district, a move that rallied Democratic lawmakers and community leaders to his defense. Both candidates are running on the promise of change as they seek the open, nonpartisan seat. Like Scott, Kurrus says unifying the city is one of his top goals as mayor. He says his experience, including his time as a school board member, shows he can do it.